The majority of Rolawn topsoils are supplied in 1m³ bags. These contain up to 50% more product than a typical bag of topsoil. This means you get more topsoil for your money. 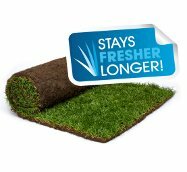 with Rolawn TV’s practical ‘How to’ videos on laying lawn turf, seasonal lawn care and selecting the right product for your project. A unique, patented & trademarked system that ensures your turf arrives with you in excellent condition. Our product calculator is designed to give you an idea of the quantity of Rolawn products you will need and which product will be ideal for your requirements. Click here to use the calculator.